For centuries Pirates have been ruling our subconscious ,posing imminent threats ,and have been considered an icon of evil. Yet the passing times has bestowed something of a romantic air to this general perception of pirates. Particularly with the Pirates Of The Caribbean Sea , the younger generation has begun to nurse a fancy for these notorious renegades. Their infamous activities and adventures all are a bone shattering and nerve wrecking thrill , and not merely for children , rather adults also share in this universal avocation. 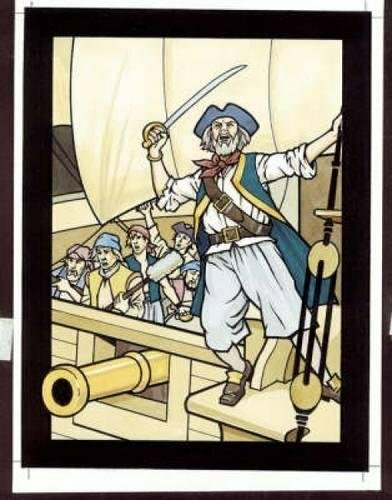 Therefore these coloring books come forth with illustrations of all the notorious pirates that the face of earth has witnessed and all the adventures they went through. These coloring books will make your kid full of energy , enthusiasm and will satiate his appetite for constant thrill. As he colors along with the pirates undergoing their sea journeys and risky ventures his power of imagination will be expanded automatically. A perfect treat for all little enthusiastic boys particularly. Moreover these coloring books come with attractive colors bound to catch your eye. 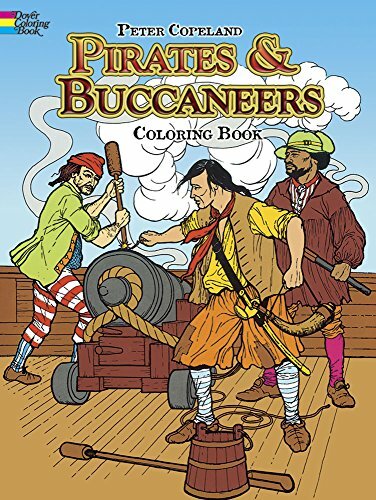 This coloring books comes with exciting narrations pertaining to the stories of some very notorious pirates that history has witnessed. These illustrations very effectively portray these adventuresome turncoats and their companions. The illustrations are further elaborated by facts so that the child is fully exposed to the stories of these nautical piranha. Among these pirates are Edward Teach , famous by the name of Blackbeard , Anne Bonny and Mary Read. These pirates had victimized and marauded ships for quite long and owing to this gained their fame as ruthless yet daring renegades. William Kidd is another one of these infamous villains who was later executed in England. In contrast there is Henry Morgan who became extra ordinarily rich and successful near the end of this life. So if you want to follow the adventures of these pirates along with their fact filled stories then this is obviously your bait. 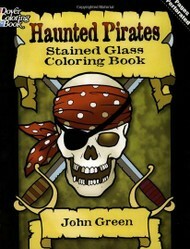 Pirates Buccaneers Coloring Book would expose you to the savage pirates from across the globe who have written down the history in blood owing to their fierce adventures. 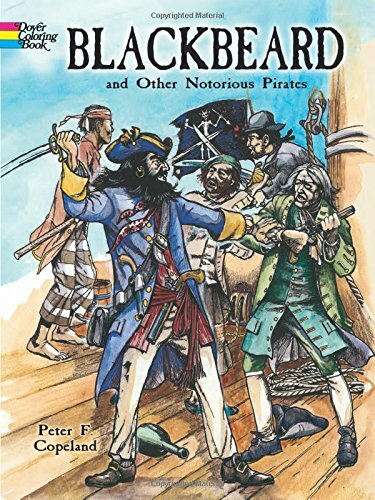 The illustrations would cover the dangerous undertakings of Khair ud din Barbossa , Henry Morgan , Bartholomew Portugues , Captain John Avery , Pierre Le Grand , Jean Bart , Captain William Kidd , Black Beard and others. These illustrations are also accompanied with historical accounts of these magisterial figures. This Stained Glass coloring book is very innovative and creative in its approach. It includes sixteen scenes full of extreme thrill and action portraying these adventuresome renegades sporting pistols , swords, eye patches and all the apparatus necessary to give them the appropriate pirate-ish air. The best thing about this coloring book is that you can actually visualize this sundry crew come back to life if after coloring them with crayons , pastels , felt-tip pens or paints , you place them near any source of light. Super natural and horrific elements have always held a particular charm and appeal for us. 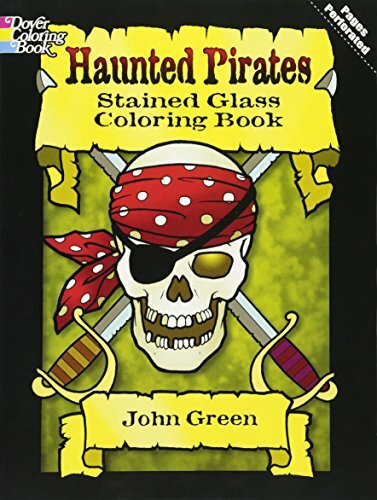 Because of this very fact this Haunted Pirates Stained Glass Coloring book doesn’t bring notorious pirates from history back to life , rather the illustrations focus on spooky pirates from outside this world. These ghostly morbid pirates are contradictory as they attract and frighten in the same go. These eerie pirates with their weather beaten ships and skeletal crew are enough to scare our guts out. Have fun watching this ghastly crew come to life with crayons , pastels , paints or felt-tip pens. Place it near a source of light and then enjoy the spooky glow emanating from them. This coloring book has been specially designed keeping the youngest artists in mind. It has a very productive approach accompanied with various educational benefits. 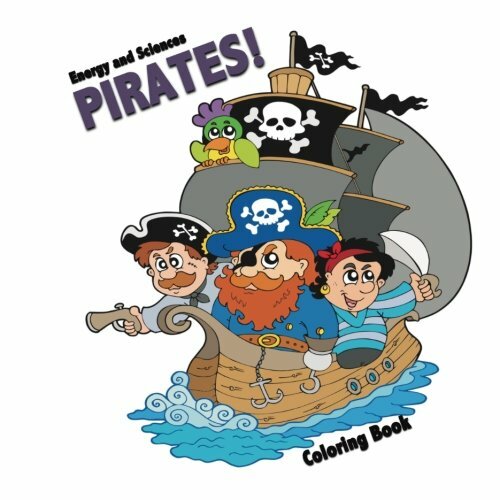 The pirates and their crew are adorable illustrations enabling the young ones to color , trace , cut and paste over and over again. The illustrations are basically cartoons so they have an air about them of adorable delight for the young artists . Furthermore owing to its academic approach it can also be used in classrooms by teachers. So if you want your young one to enjoy and learn at the same time , this is what you are looking for. This book is perfect for any kid out there as it enables the child to exercise his imagination and creativity to its utmost. It has twenty high quality illustrations that are adorable and attractive. It makes the child enter into the mystical and absorbing world of pirates with pirate ships , pirate islands , treasure chests and different animals dressed as pirates. Therefore this would be a perfect treat for your young one.Want your kids to stay busy for a while, engrossed in a healthy and constructive activity ? 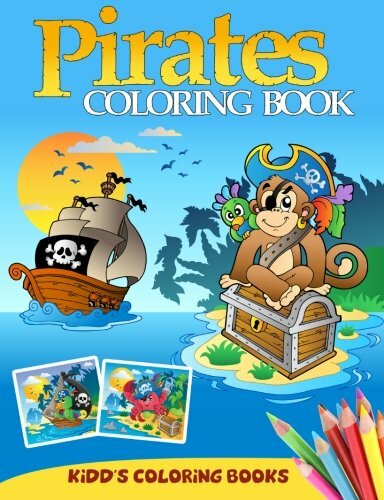 Then hurry up and get the perfect book for your child , catering to his individual interest , in this wide array of pirate coloring books available.